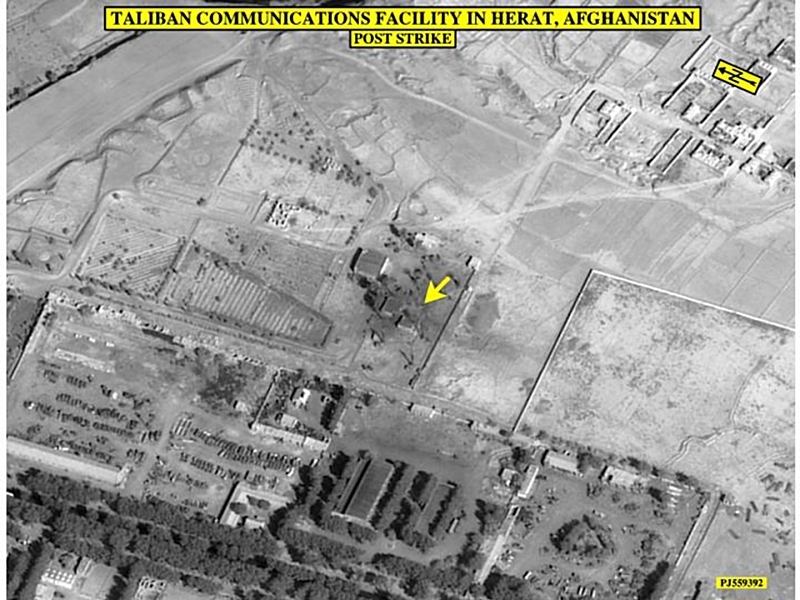 This image shows a Taliban communications facility near Herat, post-strike. The building was destroyed in a strike on October 13. According to the Department of Defense, this communications station provided command and control support of the Taliban military operations in the western part of Afghanistan.